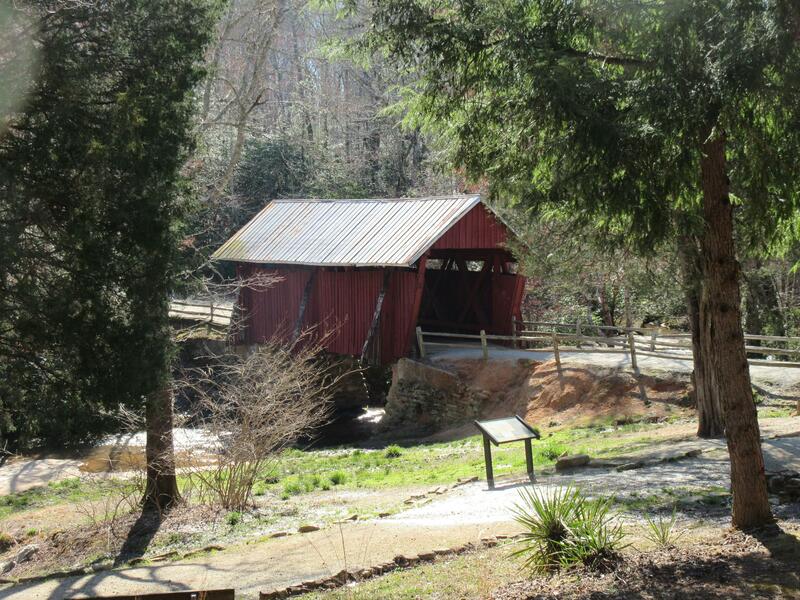 This is South Carolina’s sole remaining covered bridge. 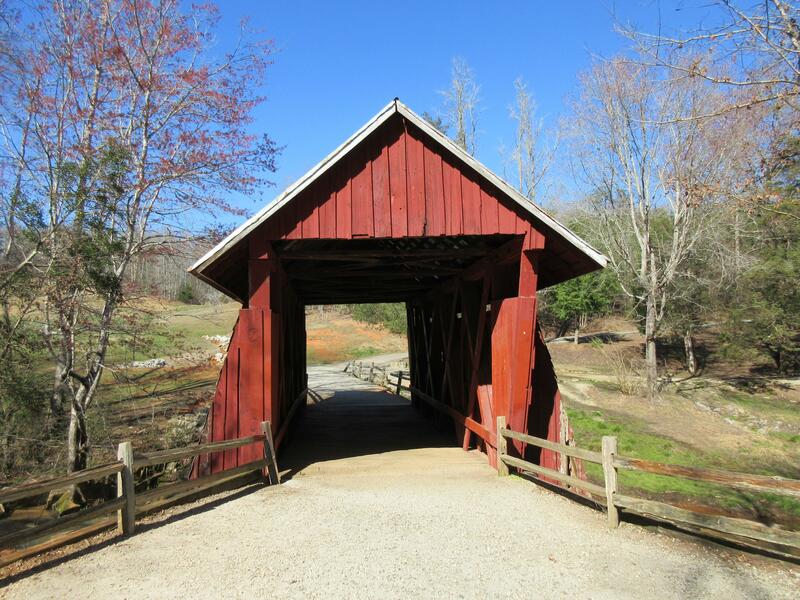 It is the 35 ft’ long Campbell’s Covered Bridge spanning Beaverdam Creek in Greenville County. It was built in 1909 by Charles Irwin Willis (1878-1966). It was named after Alexander Lafayette Campbell who owned and operated a grist mill nearby for many years. It uses Howe trusses. William Howe of Massachusetts, a builder of houses, churches and bridges received a patent for his truss design in 1840. 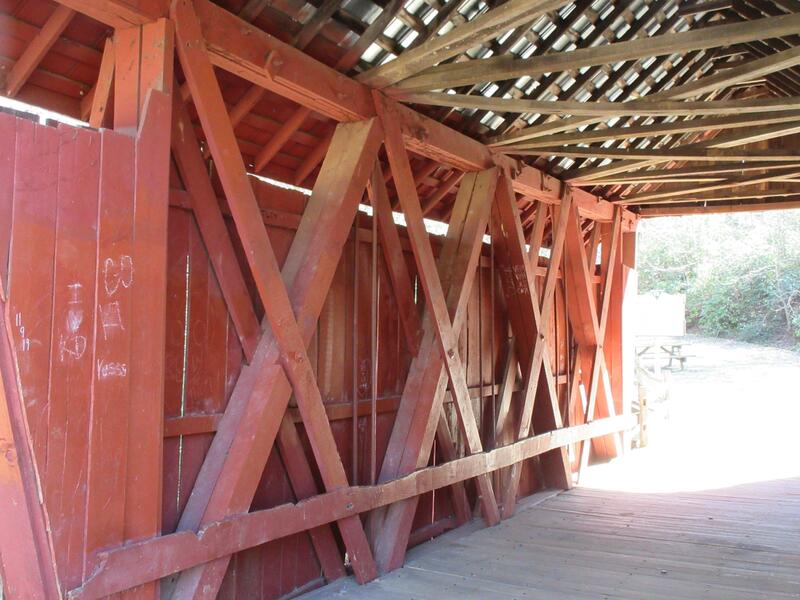 It was widely used for road and railroad bridges. William Howe’s nephew Elias Howe was the inventor of the sewing machine, and his brother Tyler Howe invented the inner spring mattress.